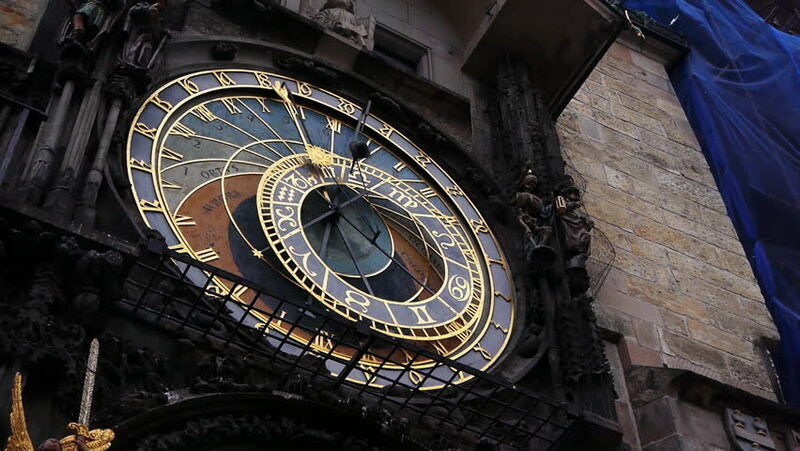 hd00:25Astronomical Clock. Hourly show of figures of the Apostles and other moving sculptures. Close up shot.